In some cases, many aspects of cooperative coparenting either will not work or promote increased risk for either coparent and/or the children. Areas which include increased risk are domestic violence circumstances, when one or both parents experience mental illness, when one or both parents are chemically dependent, or when parents continue to make adult focused rather than child focused decisions. 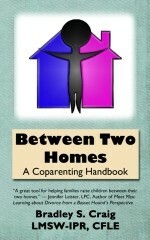 Our Parallel Coparenting Class, basically Part 3 of the coparenting series, is designed to teach parents how both homes can work separately in the best interests of the children if both parents are not able to work directly together. Unless waived by court order, participants must complete both parts of the live Children in the Middle class or the online Making Two Homes Work class within the past 24 months prior to participation in the Parallel Coparenting class. This class is offered in an online format. Please click here for more information. What is the difference between cooperative coparenting and parallel coparenting?